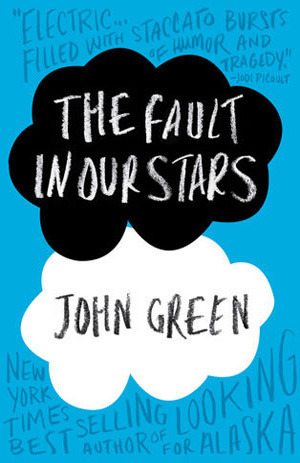 What a funny, tender, yet somber story of two teens meeting at a cancer support group and Augustus Waters falling for Hazel. Augustus is a good looking, very friendly guy who has lost below his knee to cancer. He wears a Prosthetic leg and when he meets Hazel he falls hard for her. But Hazel is a tough cookie and she doesn't fall for Augustus but slowly begins to respond to his constant optimism. Hazel has a very supportive mother and father as does Augustus, but his family is even larger. I just loved the way John Green described these characters; their worlds which includes their homes, especially their bedrooms and then the dreaded hospital. Green uses sarcasm, laughter and empathy in describing how cancer has totally defined their lives; but through their meeting, their relationship, their support group, friends and family, Green brings together friendship, romance and sorrow in a MUST READ for young adults and also adults.